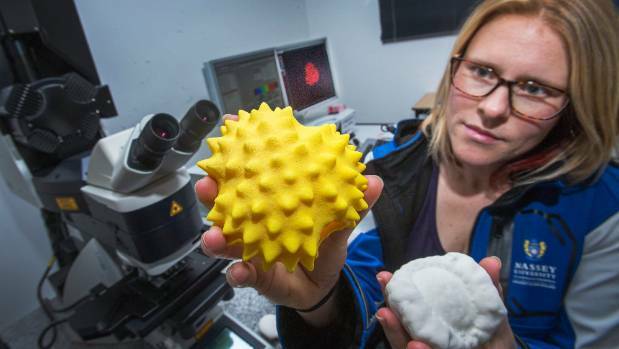 Warwick Smith Dr Katherine Holt holds models of pollen molecules approximately 2000 to 3000 times their real size (file photo). 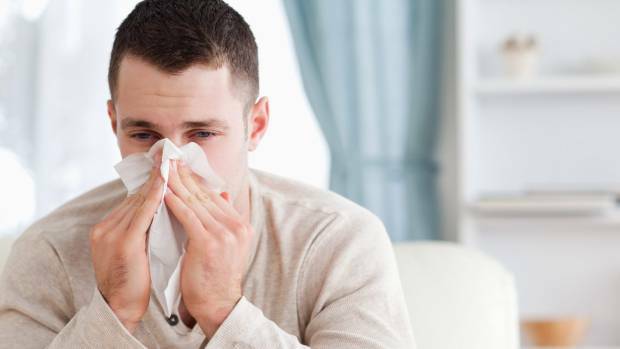 Hay fever season is looking to be one of the worst ever. And a cooking climate could be to blame. New Zealand – warm, humid, stormy and grassy – is already one of the worst countries for hay fever. 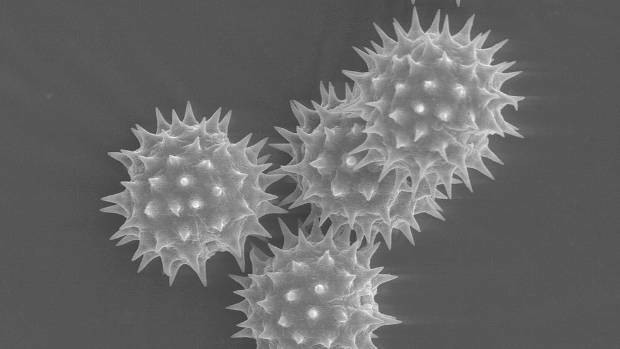 WIKIMEDIA COMMONS This is what pollen from Helianthus annuus (the common sunflower) looks like – no wonder our sinuses find it hard to cope with. Pollen expert Dr David Fountain said pollen is thriving after a mostly hot, dry month. Warmer weather is expected to persist all summer. Dust mites – a common allergen – thrive in humid conditions. But levels of grass pollen, the most common hay fever allergen, tend to be higher on hot, dry days. David White New Zealand is already one of the worst places for hay fever, but it could be getting worse. Christchurch had the driest November on record, according to MetService. And on Thursday, Hamilton’s Ruakura was one of the areas tracking to be unusually dry, receiving 36mm of rain with two days of November to go, compared to its normal 83mm for the month. New Zealand has high pollen levels because of its agriculture production, Fountain said. 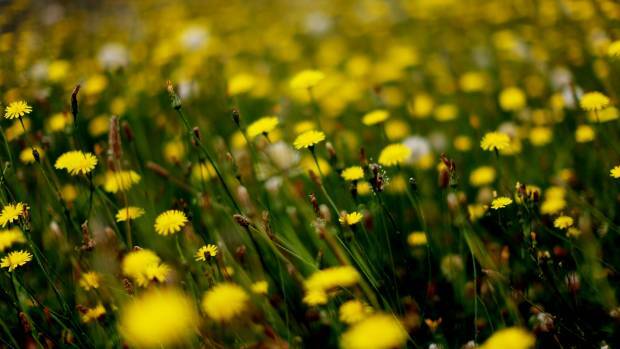 Regions like the Waikato, with a lot of grass and cows, make hay fever a nightmare for some. Introducing new species into New Zealand also means new allergens have been introduced. 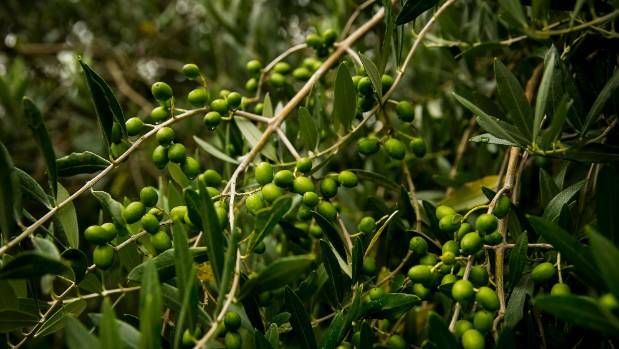 “There’s been a lot of planting of olive trees for olive oil production and olive pollen is a particularly nasty one. Electrical charges from thunderstorms make allergen particles access the lungs more easily. Nine people died from severe asthma when a dry thunderstorm swept through Melbourne in November 2016. Another pollen researcher, Dr Katherine Holt, said research indicates pollen is increasing and hay fever season is getting longer. “The occurrence [of hay fever] is increasing and in fact we have some of the highest rates in the developed world. There is no official system to monitor pollen levels in New Zealand, Holt said. “In the developed world that’s quite abnormal. “But there is evidence elsewhere in the world that global warming is contributed to a more intense pollen season. Allergy specialist Dr Michael Becker said cows, humidity, grass – all plentiful in the Waikato- make it a difficult place for hay fever sufferers. “Especially farmers that are allergic to cows which is not uncommon. You get farmers that are allergic to grass pollen and cows. Recently, Wintec Media Arts student, Maxine Levien, has suffered hay fever so severe that she has needed to take days off. “When you’ve got the same symptoms as the flu it’s kind of hard to do your drawings and your paintings,” Levien said. “Everything will be congested like a cold or a flu and you can’t think properly. Everything is sore.